The Old Quarter of Hanoi is a must-see for anyone visiting Vietnam. 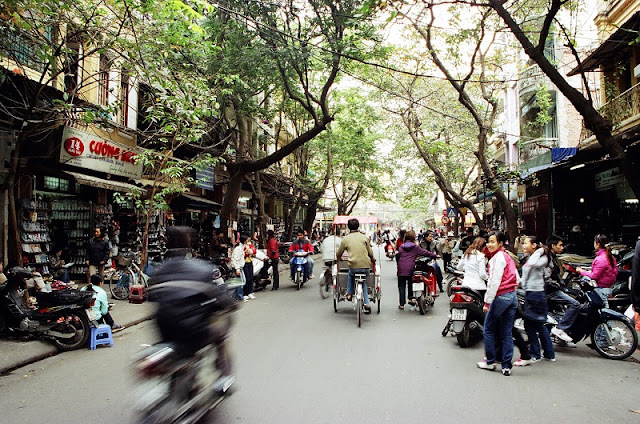 It is located at the northern end of Hoan Kiem Lake and is where many economical hotels, tourist shops and cafes in Hanoi are concentrated at. 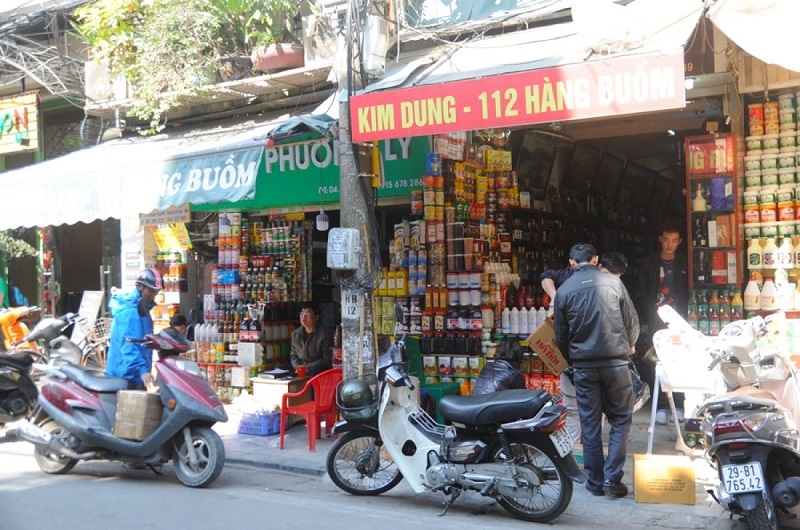 Of all the original protections around the Old Quarter in Hanoi, only the East Gate remains. The fortified walls and ramparts aren’t needed anymore in this modern world of globalised commerce. The Mongol hordes and ambitious warlords of the past are long gone – replaced by investors, free trade, and transnational corporations. Vietnam’s resurgent economy has brought about incredible change in this country, but on Hanoi’s 36 Streets, the past and present still meet to do business. The area around the Hoan Kiem Lake in the centre of Hanoi has always been home to the powerful. For almost two thousand years, artisans and traders from villages around the region have sold their goods here. They built their homes together because they came from the same place. They were communities of silk, bamboo, silver, brass and so much more. The streets were named for what they sold. The artisans formed guilds and built temples to honour their founders and patron saints. As time passed and the city grew, the varying communities squeezed together, forced to operate in thin houses with barely any storefront real estate. Today, there are more than 70 streets in the area still commonly referred to as 36 Streets. While some streets remain true to their past, much of the area has kept with the times. 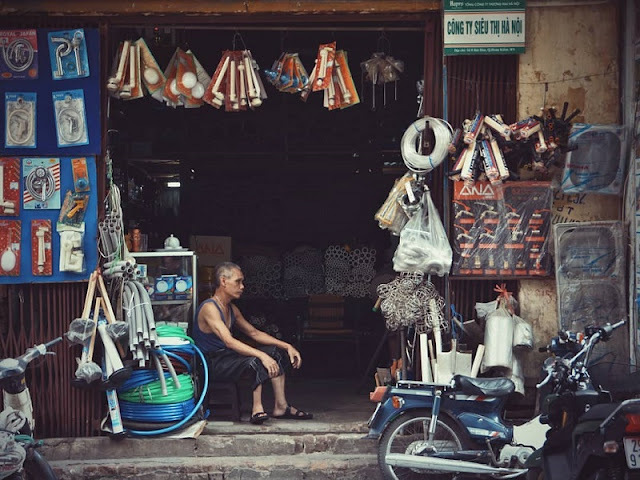 There are shops selling electric lights, fabricated aluminium kitchenware, the latest fashion and souvenirs for the thousands of foreigners who stroll through every day. The shopkeepers are savvy to the changing business climate. Artisans used to make their goods in the back areas of their shops. Now, traders dominate the area. Most of the manufacturing these days is done in factories, or sweat shops in cheaper districts on the outskirts of the city. Some streets are more famous than others. Hàng Bạc is where silversmiths once poured ingots for the kings. Today, it’s filled with jewellery shops, money exchanges and backpacker hostels. Hàng Đào’s name refers to the pink flowers littering the ground during Lunar New Year, or Tết. It was a popular colour for the silks that made the street famous. Now, it’s lined with modern clothing shops. 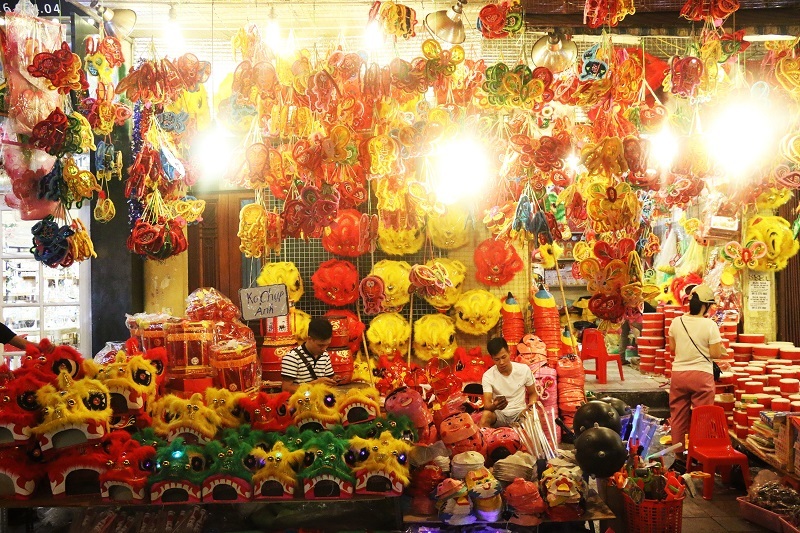 Hàng Quạt got its name from handheld fans, popular in the days before electricity and air conditioning. These days though, the shops sell altars and decorative brass pieces instead. Even though tourism has changed much of the Old Quarter, bringing in hotels, travel agencies and Western bars, the area represents a wonderful link between the past and the present. And, for all the history and culture and new faces coming in every hour on international flights, there’s still that sense of a vibrant community here – where meals are tasty and cheap and the people are doing what they can to make a living. It’s still wonderfully Vietnamese.